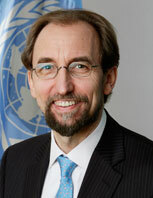 NEPAL FOREIGN AFFAIRS (KATHMANDU March 22) – The UN High Commissioner for Human Rights Zeid Ra’ad Al Hussein has hailed last week’s decision by the Supreme Court to strike down a clause giving the Commission on Truth and Reconciliation and the Commission on Investigation of Disappeared Persons the power to recommend amnesties for serious human rights violations committed during the 10-year internal conflict. “We have studied the ruling and heartily commend the Supreme Court for upholding international standards relating to accountability for gross violations of international human rights law and serious violations of international humanitarian law,” Zeid said in a press statement issued on Thursday. Over a year ago, on 2 January 2014, the Supreme Court had already stated that there could be no amnesties for serious human rights violations. Despite that ruling, the Act on the Commission on Investigation of Disappeared Persons, Truth and Reconciliation promulgated in May 2014, still included provisions that could have allowed the two Commissions to recommend amnesty for serious human rights violations. “I welcome the Government’s prior commitment to abide by the Supreme Court’s decision and I trust this will now be given effect,” Zeid said, noting that at least 14,000 people were killed during the conflict and another 1,300 are still missing. In its latest ruling, the Supreme Court also stated that the Commissions must not facilitate reconciliation between perpetrators and victims without the voluntary and informed consent of the victim. “It is essential that the Commissions adopt this victim-centred approach, as many victims have felt completely excluded from the process so far,” High Commissioner Zeid said. He noted that a wide range of victims’ groups have recently united to form the Conflict Victims Common Platform on Transitional Justice. Numerous conflict-related criminal cases remain pending before the Courts of Nepal. Only two such cases have led to prosecution, while all the others remained stalled pending the establishment of the Commissions. The Supreme Court has now ruled that these cases should be heard directly by the country’s courts. “The Supreme Court has made it clear that truth-seeking processes cannot supplant the criminal justice process. I hope these outstanding cases can now proceed promptly,” Zeid said. The High Commissioner noted that a number of other issues needed to be prioritized for the transitional justice agenda to be fulfilled in Nepal. “These include ensuring that all gross violations of international human rights law, including torture and enforced disappearances, are explicitly prohibited as criminal offences under domestic law, in line with international standards,” he said.